WWII History Tour Germany –Day 2. 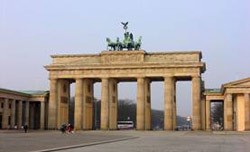 Extensive tour of Berlin. 6 + hour walking tour. Taking in the New Synagogue, Potsdamer Platz, Europe’s largest office building (a gift to Berlin from the Nazis), the Berliner Dom, Gestapo and SS headquarters, Reichstag and remains of the Berlin Wall. In addition our tour guide is likely to “throw in” a few surprises, and reveal a few little known hidden gems .We cover Berlins architectural curiosities, historical oddities, augmented by an abundance of native wit and wisdom. 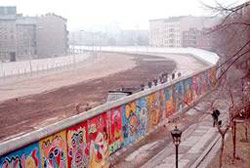 We cover Berlin of the Hohenzollerns, Jewish Berlin, Weimar Berlin, Nazi Berlin, Cold War Berlin, to Berlin in the wake of reunification, rebuilt and reborn. Day 3. am. We journey north of Berlin to Sachsenhausen (memorial) approx.2.5 hour journey. Sachsen-hausen. Museum main entrance. 2006. Around the time of the 1936 Olympic games, slave laborers was being deployed to construct to construct this massive new concentration camp north of Berlin. Originally, intended to hold political opponents of the Nazi regime. 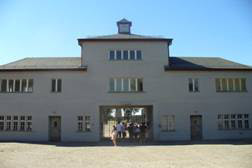 In total in excess of 200,000 people were imprisoned here of which more than 50,000 perished in Sachsenhausen. The camp was eventually liberated by the Red army in 1945. Ironically the camp was subsequently used by the Soviets to house known Nazis, German soldiers and outspoken anti communists. A huge number of people died from due to malnutrition and disease. The 3-hour camp tour encompasses general history relating to the site. As well as tour of the Appellplatz parade ground, the Jewish Barrack, punishment cells, execution grounds and crematorium, Station Z, the Pathology Laboratory and camp hospital. OVERNIGHT STAY LOCALLY. Day 3. PM. WWIIHistory Tour Germany. We then make the short journey north to Ravensbruck. Ravensbrück Concentration Camp focuses on the oppression of women under the Nazis regime. Incarcerated here were (German) women who were active in the resistance against the Nazis. Others were resistance fighters and those involved in espionage in the occupied countries. The memorial features the incarceration of ethnics and “non-Aryan” stock. The tour takes areound 2.5 hours. There is limited site to see here. Main gate, few buildings, crematorium, building foundations, a museum and cinema. Day 5. pm We then journey back to Berlin and spend the rest of the day and overnight there. Day 4. am Journey on to Colditz Castle. 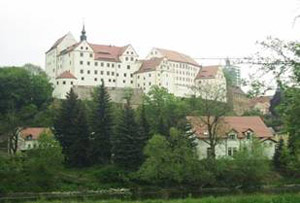 VISIT AND ITINERARY AROUND COLDITZ. Colditz castle. This venue needs no introduction. Our partner will provide the following: At Colditz Castle you can see the actual escape artefacts and uniforms produced by the ingenious POWs in our Oflag IVC Escape Museum. Guided tours are provided in English, French and German detailing the legendary escapes made by Allied POWs imprisoned here at the castle from 1940 to 1945 – a prison considered by the German military authorities at the time to be escape-proof. In its 1000 year historic past, the castle has witnessed a diverse range of use: from a Royal Hunting Lodge to a psychiatric hospital. Yet, the castle is more famously known as the notorious German military prison Oflag IVC which held Allied Prisoners of War Officers and Allied prisoners who held significant status during World War 2. The castle also offers a World War 2 display dedicated to Poland, a souvenir shop selling books, postcards, pens and t-shirts and a ceramic workshop. Meeting rooms are available for exhibitions, workshops and seminars. Day 5. am Travel on to Buchenwald. Approx. 2.hour journey. THIS IS THE CAMP WHERE LIBBYS (THE AUTHORS FATHER) WAS SUBSEQUENTLY RELOCATED. excellent and descriptive link; Buchenwald Memorial. The infamous Nazi concentration camp Buchenwald created in 1937 and served until 1945. 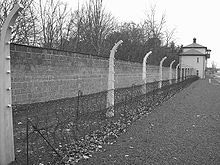 During that time in excess of 250,000 people were imprisoned there. Of which more than 50,000 perished. Between August 1945 and 1950 the Soviet occupying army used it as an internment camp. In addition to four exhibitions, visitors can also visit the grounds of the former concentration camp, as well as the gatehouse detention cells, watchtowers, the crematorium, the disinfection centre, the railway station, SS quarters, the quarry and graveyards. Day 6 pm. Relax and chill out day. End of tour.